Eye Care Directory offers up-to-date information about the optical eyeglasses stores and eye doctors for your vision needs in the Queenstown of South Island. You may arrange an free eye exam, buy prescription eyeglasses, RX sunglasses or donate your old eyeglasses by using the contact information in the directory. In the Queenstown, optometrists can be found in the vicinity of a chain optical retail store, or in an independent optometrist's office. Optometrists are trained to address both vision refractive errors and eye health. Many optometrists sell high-end eyeglasses and contact lenses in their practices with the most professional possible services in addition to performing eye exams and writing prescriptions. Ophthalmologists are medical doctors (MD) in the eye care and vision health who perform eye exams, write prescription for eyeglasses, sunglasses and contact lenses, diagnose and treat eye diseases and carry out eye surgery. Ophthalmologist's responsibility is much beyond that of optometrist. 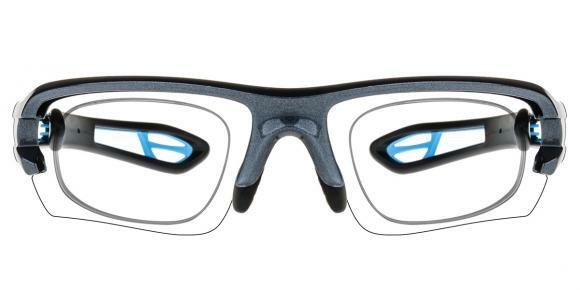 Can pinhole glasses cure astigmatism? No, pinhole glasses can not cure astigmatism.You should know they do improve your vision. The moment you put on pinhole glasses you will notice instant clarity and focused vision. By blocking peripheral rays, and only letting into the eye those rays which pass through the central portion of the pupil, any refractive error in the lens or cornea is not noticed as much. The pupil may be wide open, but only the central portion is receiving light. The improvement in visual acuity can be striking. But they can not cure astigmatism. So if you want to cure astigmatism, you should have to go and have a deep conversation with the doctor. I think he can give you some advices and even the treatment. It is true that spinach can save your eyes. It can prevent and even undermine the process of macular degeneration that can eventually lead to incurable blindness. Spinach has this function because that it has lutein and zeaxanthin which are two strong antioxidants for eyes. Lutein and zeaxanthin work coordinately as a pair of invisible glasses to protect you from eye problems associated with age. Spinach is one of the rich sources of these two antioxidants. Taking 6 mg of lutein and zeaxanthin per day is enough for average people. For those who want to treat macular degeneration, the amount should be 11-12 mg every day. There is research showing that eating spinach will improve the vision of people who are suffering from macular degeneration. Besides spinach, other leafy greens like Romaine lettuce, broccoli and zucchini are also rich in lutein and zeaxanthin. Is sleeping with the lights on bad for my eyes? Yes, it is bad for your eyes when you sleep and let the lights on. Although you close your eyes, your eyeballs are still moving. The lights may get into your eyes and affect the sleeping state of your eyes. And the eyes may get stimulated through the eye nerves which will not be good for your eyes to have a good rest. How can I know my eyes prescription without visiting my eye doctor? Oh, it is really impossible to know your eye prescription if you don't visit an eye doctor. Although there are eye chart that can help you know your prescription. But they are not accurate for people to get prescription eyeglasses or contact lenses. So, if you need vision aids from prescription eyeglasses or contact lenses, you shall visit an eye doctor for a completely eye examination. Well, I wonder if you live in a warm place, because it is a natural thing to have frozen tears in winter. As a matter of fact, in some extremely cold areas, when we shed tears, the tears could go frozen because of the extremely chili whether. So, it is quite normal. What's more, when we pee, a few seconds later, the mess could also go frozen. Just wear more and stay in the room. Why do my eyes hurt when i don't get enough sleep? Because only when you close your eyes and have a sleep, your eyes will have a break as well. But if you don't have enough sleep, your eyes muscle will always stay nerves. At last, your eyes will become exhausted and hurt. When your eyes hurt, it means your eyes muscle is tied to death. So what you should do is sleep as much as you can. Or you can do massage for your eyes. If you ignore this problem, it will cause headache as well. Which frame should i get with strong prescription? People with strong prescription usually choose the frame with proper height. The frames with less than 30mm frame height are better. Because if you choose a oversized frame, you will get dizzy for your strong prescription. Moreover, to get a good look, you shall first avoid rimless eyeglasses frame which can exposure your thick lenses. Besides, half rimmed frame shall also be avoided if you want to get gook look. That is to say, you shall choose full framed eyeglasses so as to hold your thick lenses. 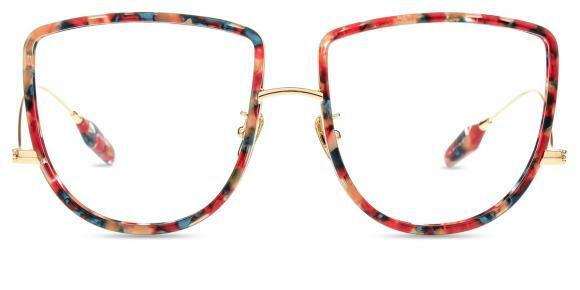 And the thick eyeglasses frame is recommended. Does mascara cause dry eyes? Yes, you may get dry eyes because of using mascara which contains the chemical materials. However your dry eyes could also be caused by the lots of use of eyes in front of the computers and other electric products. You need to pay great attention at the dry eyes and treat it in time with the eyes drops. Or else, it may cause other eyes problems. How soon can i swim after cataract surgery? After the cataracts surgery, you'd better protect your eyes carefully. Keep away from the spicy food. What's more, not use the computer for a long time. If you want to swim, you'd better wait for a month. Although the eyes may get recovery after usually a week, you should not go to swim for too much bacterium in the water which may let your eyes get infected. Where to get my designer glasses fixed? ):? Take them back to the place where you bought it, maybe you can search online and find some stores sell replacement accessories and place your order for left leg and take it to any optical stores to ask them to repair it for you.